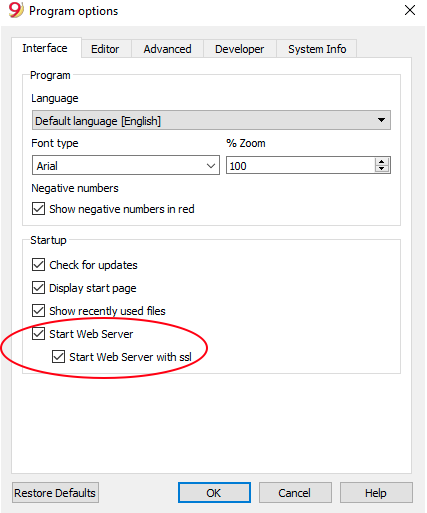 The steps below walk you through all the setup to run the Banana Office Add-ins for Microsoft Office 2016. Minimum requirements: Microsoft Office 2016 (Word, Excel, PowerPoint, Outlook). 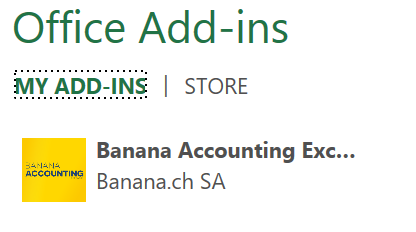 Download Banana Accounting 9 for Windows or Mac. Install it on your pc. 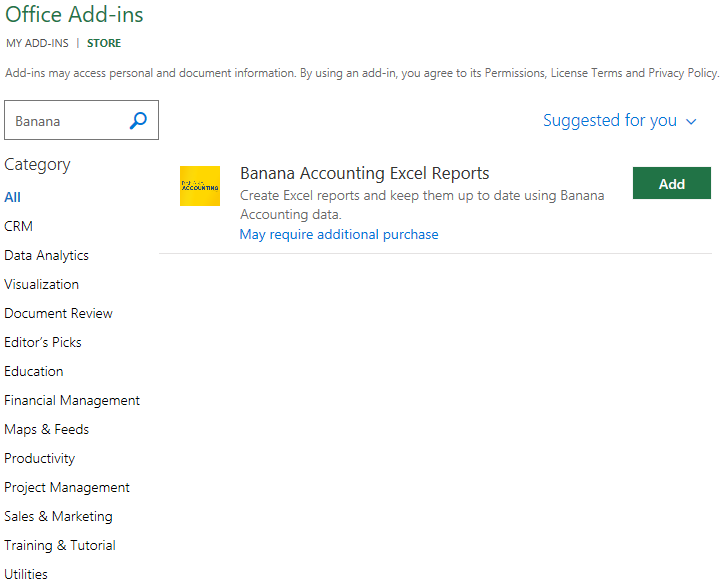 As soon as the add-in is added in Excel, on the Home tab of the main ribbon is loaded the Banana Accounting add-in command. Once the add-in has been added from the Office store it is saved into My Add-ins section.